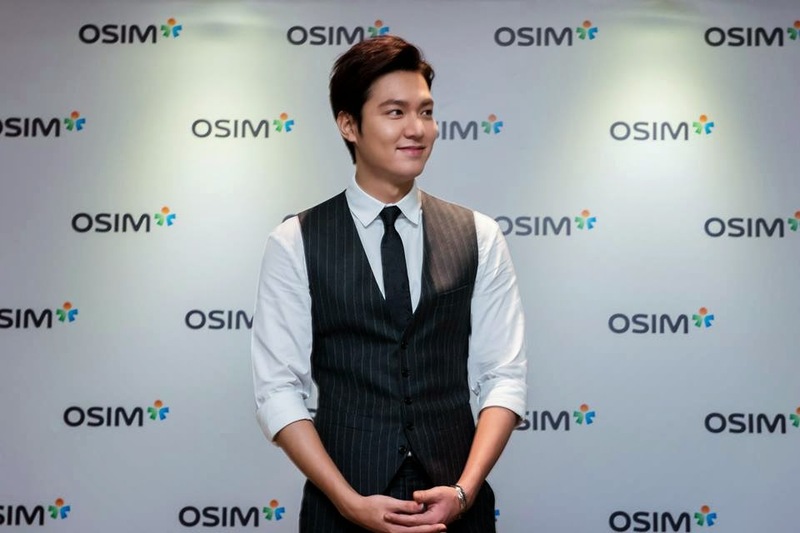 OSIM Celebrates 35th Anniversary With Lee Min Ho In Singapore! Before I start, can I say that Lee Min Ho looks SO MUCH BETTER IN REAL LIFE THAN IN PICTURES?! Lee Min Ho is an actor, singer & model from South Korea. He is best known for his leading roles in Boys Over Flowers, City Hunter & The Heirs. His debut role was in the 2006 drama "Secret Campus". His leading role as "Gu Jun Pyo" in the 2009 hit drama "Boys Over Flowers" catapulted him to mega-star status, even earning him a Best New Actor award in the 45th Baeksang Arts Awards. 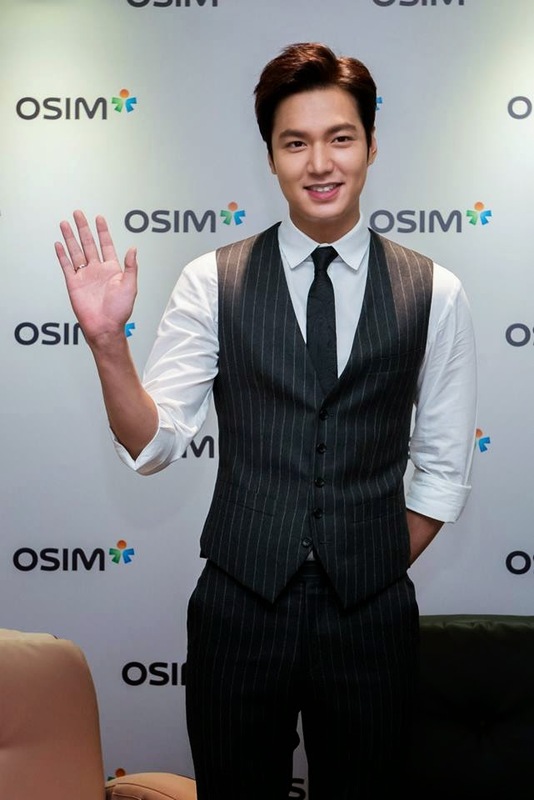 On 27th September 2014, OSIM welcomed Lee Min Ho to Singapore to celebrate OSIM's 35th anniversary. 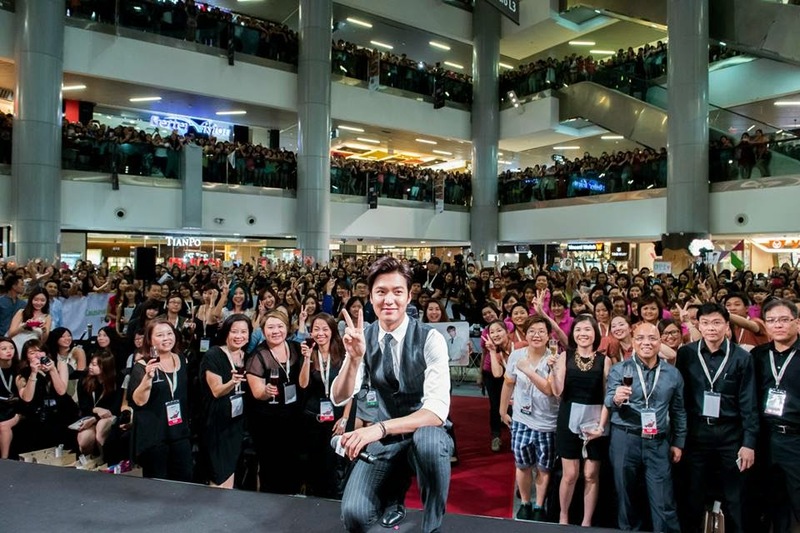 As one of the pit stop for the OSIM uDive Asian Tour, Lee Min Ho, who is the face of OSIM's chic massage sofa, uDiva, was in town to celebrate this joyous occasion together with OSIM. Got a chance to meet Lee Min Ho up close at the press conference held at The Westin Singapore, and oh boy the interior was extremely spacious & luxurious. Couldn't get a good picture from where I was seated thus pictures all c/o William Tan & OSIM. 1) Lee Min Ho, and his eight person entourage, will be in Singapore for a 24-hour visit, arriving on 26 Sept and leaving on 27 Sept.
2) The Korean superstar will stay in a 2605 sq ft Presidential Suite at The Westin Singapore. OSIM has specially arranged a Maroon uDiva to be placed in Lee’s suite for his personal use during his stay. 3) Lee will even be able to order whatever his wishes to eat upon touch down at Changi, prior to reaching the hotel. 4) The hotel has also specially arranged for authentic Korean food to be served for Lee’s benefit. OSIM will also offer Lee the opportunity to try some favourite local food if the star wishes to have a taste of Singapore’s signature dishes. 5) Lee will enjoy a wide variety of breakfast choices from Authentic Korean to International or American style, in the comfort of his Presidential Suite. 6) Lee is well-known as The Leggy Oppa in the Korean entertainment industry, standing at 1.87m tall. Based on this knowledge, the hotel was conscientious to ensure the bed in Lee’s suite fits his frame comfortably by getting a 1.9m tall male to ascertain on comfort and suitability. 7) Adding an even more personal touch to Lee’s stay at The Westin Singapore, the hotel will be embroidering the pillow covers and bathrobe in the suite with the Romanized version of Lee’s Korean name. 8) Korean instructions/labels will be carefully included in the Presidential Suite e.g. in-room facilities like the steam room, for Lee’s comfort and ease of use. 9) The Westin Singapore has also specially arranged for a Korean guest service associate to be on standby 24 hours should the Korean star require any assistance. 10) There will be round-the-clock hotel and private security for Lee and his entourage to ensure their safety and ease of movement during their time in Singapore. 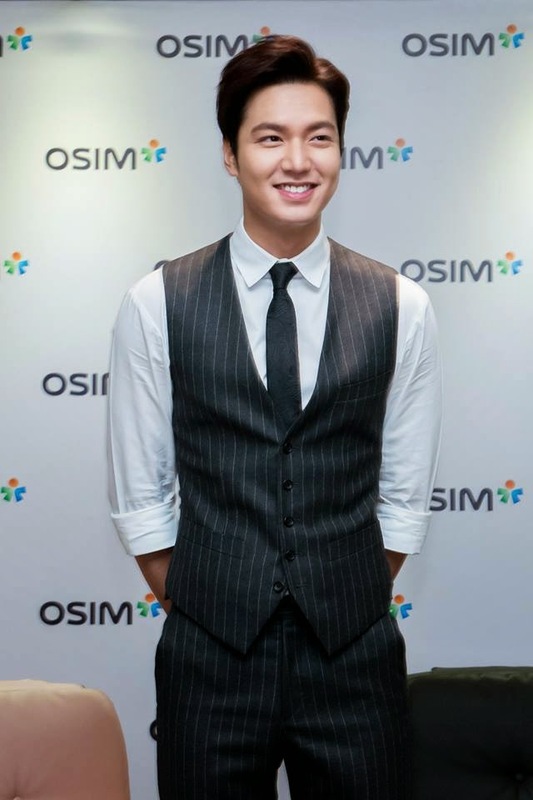 More than 30 security personnel will be employed for Lee Min Ho’s OSIM uDiva Singapore Tour. 11) In light of Lee’s tremendous popularity, OSIM, The Westin Singapore and Causeway Point Mall management have beefed up on security and traffic control to ensure a smooth tour/ event for the Korean star. I'm not the type of girl who'll go crazy over stars BUT HE IS SO CUTE?! I couldn't keep my eyes off him at all! And to add he is really friendly as well! After the press conference, we were escorted to Causeway Point for a Meet & Greet session. OMG, sorry if I sound bimbo but it was my first time being escorted & sitting in a car??? Van??? with tinted windows?!?! And walking on a red carpet with welcoming fans - Not our fans BUT STILL?!?!?! YOU GET ME??? LOL. When we reached Causeway Point, the place was literally filled to the brim with fans. Thank God there were seats reserved for us right in front of the stage so we didn't have to stand or squeeze amongst the crowd. A couple of his fans who purchased the uDiva had a chance to get upclose & intimate with him - How lucky! SELFIE WITH LEE MIN HO EVEN THOUGH I WAS LOOKIN' ELSEWHERE!!! CAN YOU FIND ME?! HEHEHE!!! SPOT ME IN THE VIDEO. HA HA.